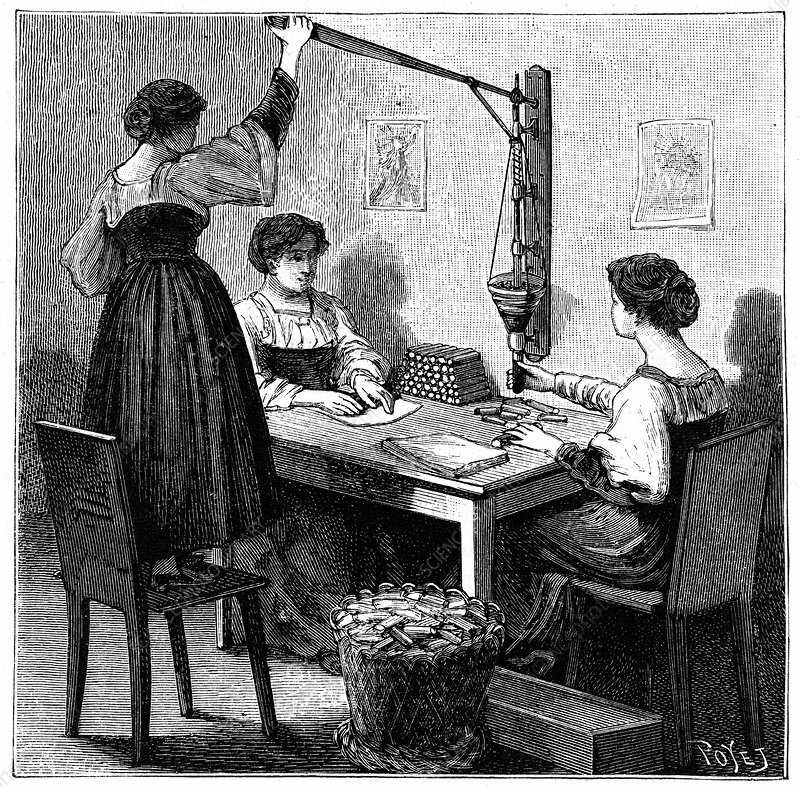 Women packing dynamite cartridges, 1888. Explosives factory at Val Bormida, near Cengio, north-west Italy. Nitroglycerin was mixed with Kieselghur (a diatomaceous earth) to produce Dynamite. Patented by Alfred Nobel (1833-1896) in 1867. Dynamite is more a more stable high explosive than gunpowder and nitroglycerin and quickly gained popularity for blasting in mining, tunnelling and quarrying. A blasting cap was used to activate the Dynamite. From La Nature, Paris, 1888.